Kobalt has signed Puerto Rican rapper Anuel AA to a worldwide publishing administration agreement, including global synch and creative support services, for all of the rapper’s catalog and future songs. Emmanuel Gazmey Santiago, aka Anuel AA, is best known for spearheading the Latin trap movement. The artist’s first successful mixtape was released in 2016, and contained hit songs Ayer 2, La Ocasion, Armao 100Pre Andamos, Coronamos, Tu Me Enamoraste and Nunca Sapo, garnering millions of streams and YouTube views. Anuel AA released the full-length album Real Hasta La Muerte in July 2017, which debuted at No.51 on the Billboard 200 and reached No.1 on Top Latin Albums & Latin Rhythm Albums. He has collaborated with the likes of Meek Mill, 6ix9ine, Nicki Minaj, Ozuna, and more. He also recently completed his first US tour, Real Hasta La Muerte with sold-out shows at Chicago’s Rosemont Theater, New York’s Palace Theater, among other locations. 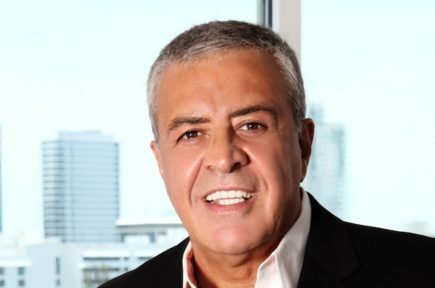 Kobalt Music President, Latin America, Nestor Casonu said: “Anuel AA is a truly unique and extraordinarily talented singer/songwriter, with an amazing career ahead of him. Kobalt Music Vice President, Creative, Latin America, Leslie Ahrens, added: “I’ve always loved his music and admired how his incredible talent has pushed Latin culture forward.